Llangollen is the historic gateway to North Wales. Blessed with a wealth of natural, medieval and industrial history, the town and the surrounding area make the perfect place for a short break or a longer holiday. 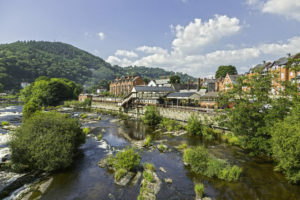 Visit the Llangollen Chamber of Trade and Tourism website to find out more about Llangollen and surrounding area.